How Do I Apply for Admission to Lawful Permanent Resident Status under the “Registry” Provision of the Immigration and..
\r\nIf you have been present in the United States since January 1, 1972, you may be eligible for the “registry” provisions of our immigration laws which would allow you to obtain lawful permanent residence even if you are illegally in the United States now, or if you initially entered the U.S. illegally. \r\nWhere Can I Find the Law? \r\nThe part of the law concerning the registry provisions is located at INA §249. The specific eligibility requirements and procedures for becoming a permanent resident through registry are included in the Code of Federal Regulations (CFR) at 8 CFR 1259 . \r\nNote: Any alien who has at any time engaged in terrorist activities is ineligible for registry. Further, any alien who fails to appear at a removal hearing, or who fails to depart after agreeing to voluntary departure, is ineligible for registry for a period of ten years. \r\nYou must submit a completed Form I-485 with filing fee, and a completed Form G-325A with evidence that you have continuously resided in the United States prior to January 1, 1972, to the USCIS district office having jurisdiction over the place in which you live. You must establish that you are eligible and that registry should be granted in the exercise of discretion. There is no appeal from the decision of the District Director but your application may be renewed in front of an Immigration Judge. \r\nWill I Get a Work Permit? \r\nApplicants who are inside the United States and have filed Form I-485 (Application to Register Permanent Residence or Adjust Status) are eligible to apply for a work permit while their case is pending. You should use Form I-765 to apply for a work permit. \r\nYou do not need to apply for a work permit once you are accorded permanent resident status. As a lawful permanent resident, you should receive a permanent resident card that will provide evidence that you have a right to live and work in the United States permanently. Please see How Do I Get a Work Permit? for more information. \r\nCan I Travel Outside the United States…. \r\n…While I Am Waiting for My Application Under the Registry Provision to be Processed? \r\nIf an alien obtains Advance Parole from the USCIS following approval of a Form I-131, he or she may travel outside of the United States and return without jeopardizing their registry application. However, any alien who has accrued more than 180 days of unlawful presence in the United States and then travels outside the United States is inadmissible for a period of 3 to 10 years. Registry applicants have, by definition, accrued long periods of time in unlawful status. If you are applying for permanent residence using the section 249 registry provisions, you should not travel outside of the United States without first obtaining advance parole from the Service, or you will be unable to return to the United States. \r\n…If I Have Already Registered for Lawful Permanent Resident Status? \r\nYes. Any alien who has been granted lawful permanent resident status under “registry” may travel overseas and be readmitted as a returning permanent resident without having to apply for admission for travels that are six months or shorter. All lawful permanent residents who travel outside of the U.S. for periods longer than six months must reapply for admission at the Port-of-Entry. \r\nHow Can I Check the Status of My Application? \r\nPlease contact the USCIS office that received your application. 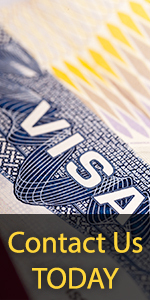 You should be prepared to provide the USCIS with specific information about your application. More information is available on finding the status of your case.